Each year at the National Academy Championship Horse Show, one horse is selected as the “Academy Horse of the Year.” And that horse goes down in our Academy Hall of Fame. 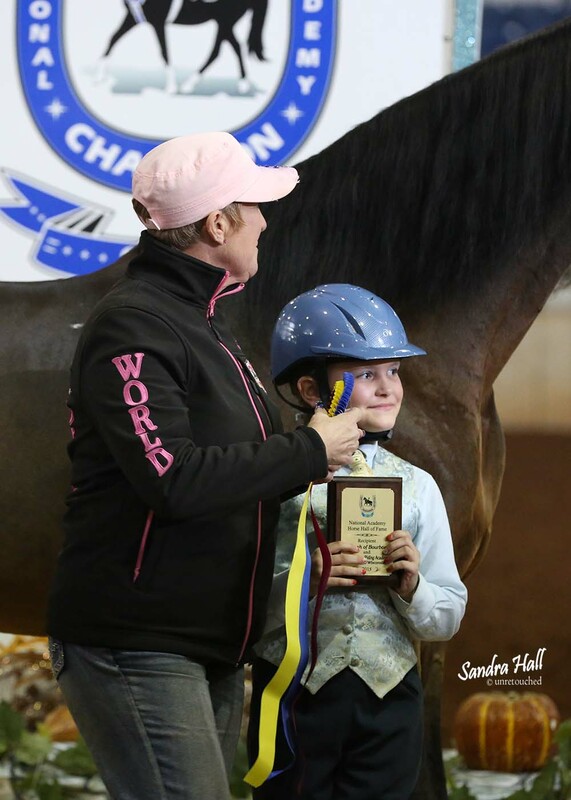 Do you know of an academy horse that deserves to be honored and recognized as “Horse of the Year?” Applications for Horse of the Year are now available. Download an application for the Horse of the Year award here. Stoneledge Step Aside is owned by Fire Stables, Lenexa, KS. JW Crew is owned by Louisville Equestrian Center, Louisville, KY. Owned by Mary Lou Mann, Greenville, SC. 2014 - Old Style Light "Stretch"
2013 - Prudence Anne "Lucy"